My box of choice was Birch Box. 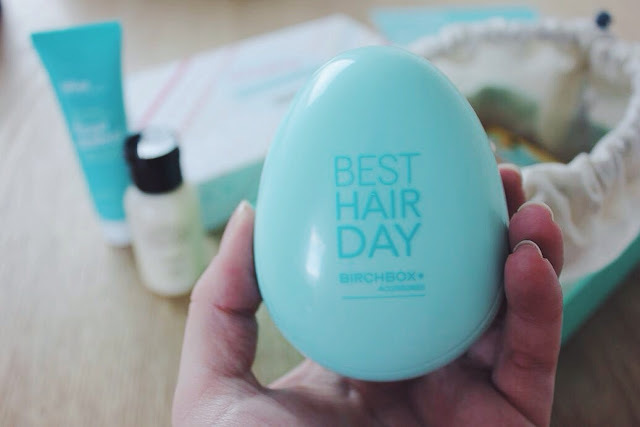 I didn't really delve too deep into researching the different companies, but Birch Box kept popping up on my social media, mainly because their birthday was coming up. 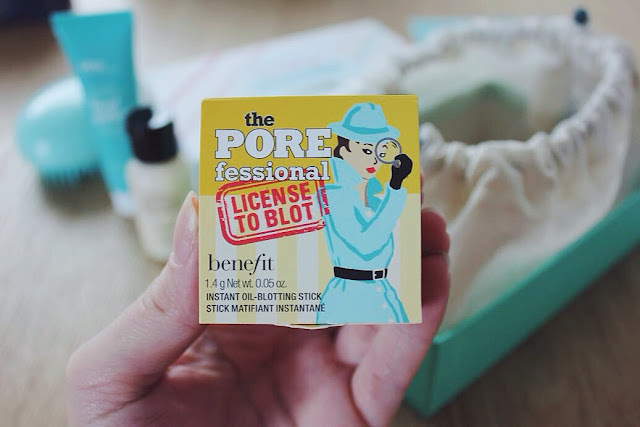 I read a post on what to expect in my box and was excited to find I could choose my box design for this special occasion, plus subscribers would be receiving Benefit's POREfessional in the September edition. I'd never heard of it before (I seemed to be the only person who hadn't as everybody else couldn't contain their excitement) and as the product was £15.50, and the Birch Box was only £12.95 (per month, of which you can unsub at any time) I figured I could sample the product before purchasing, and I'd get more products to sample too! And I LOVED the idea of a surprise to cheer me up every month without breaking the bank. Win, win! So just as a side note, whilst signing on up, you do complete a little self profile. This means your box is a little more catered to you and your skin/hair type etc as well as your budget. I also thought it was a great idea that they ask how much you generally spend on beauty products per month, that way if you fall in love with something and want to purchase the full sized product (which you can do via them and use a points/bonus system which is fabulous, as well as else where should you choose to do so - but you'd be silly not to earn the points) it's not going to be out of your preferred price range!! When I first took a peek at my box, (which I can tell you I loved the design!) I found a fabulous little booklet to tell you all about each product, where it came from, it's price (full sized) and also how to use it! So for anyone who is new to or never usually uses lots of products - that's actually very handy (okay, most things are common sense, I know how to brush my hair, but there are sweet little tips!!). So what was in my box? 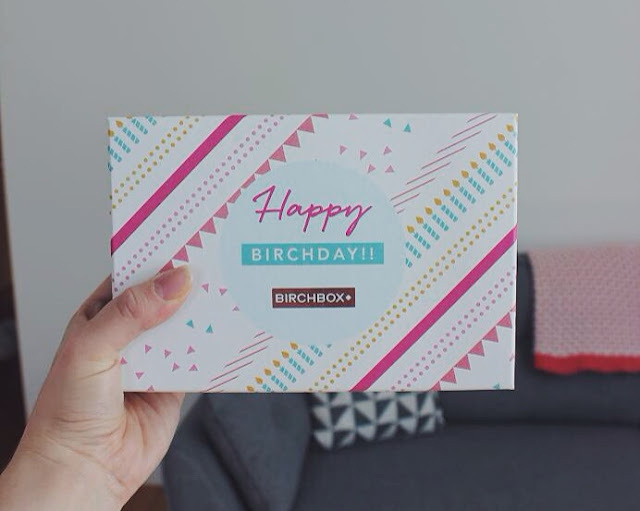 I received 5 products plus a little bonus for their birthday The Birchbrush! A handy little brush, the untangling kind! I've actually never used one like this before on myself, but I have used a tangle teaser (is that the right name, I don't know!?) on children's' hair before. But it's the perfect travel size and with my upcoming trip to Australia soon, this will be perfect for my cabin bag. 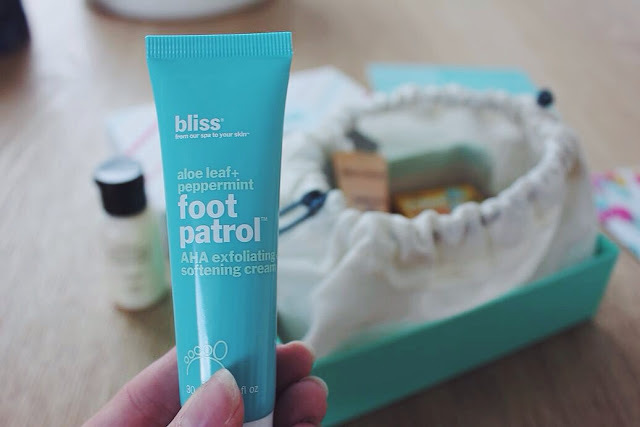 Next up is the Bliss Foot Patrol. I'm definitely guilty of neglecting my feet, and although they aren't awful - they're not the best they could be! And who likes feet anyway? So I'm grateful for this little exfoliating cream - I'm yet to try this so I cannot give you an honest review - but I am a big fan of Aloe and the peppermint smells clean and fresh. I'll update you once I pamper my feet!! I have very tangly, frizzy, untameable hair so I am totally up for trying products to control the fro! However, at the same time my hair gets greasey incredibly fast and is very flat to my head at the roots. I still haven't gotten around to trying this yet as I've been meaning to make this blog post since it arrived so I've been trying not to touch my box out of fear I'll ruin them before taking photos. But now I have, and I'm due a hair wash tomorrow I will give it a go. I'm a little anxious as most products just make my hair even more greasey and kill whatever 'oomph' I do have at the root, but I can only try!! 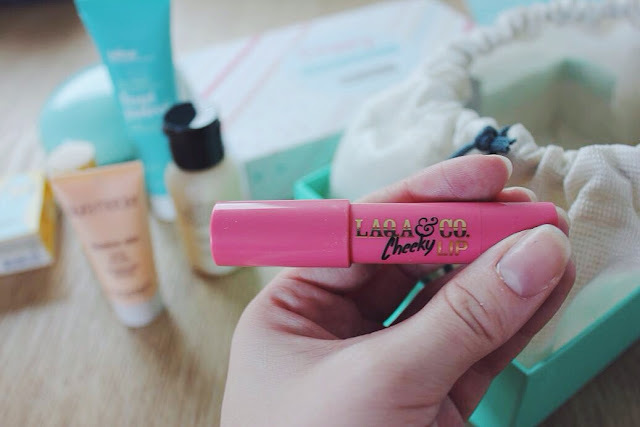 First is the Laqa & Co - Cheeky Lip Pencil in Humble Brag. 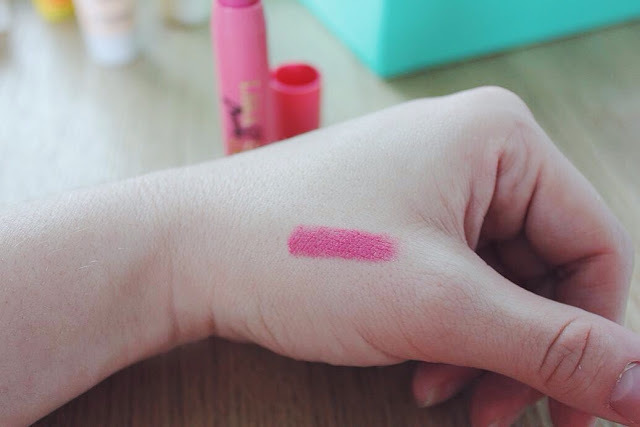 And there is a little swatch for you! 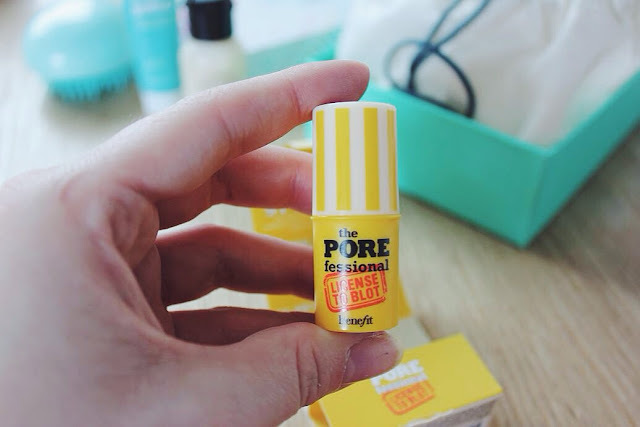 So the clue is in the name, obviously you can use this as a lip pencil.. But for your cheeks too! (Okay I haven't tried he cheeks yet) cool right? I'm very new to the whole lipstick scene, I've never braved a colour until the last year - so I'm still getting used to it. Having said that, I do really like the product, it goes on smoothly and sits well without any bleeding and you don't need so much precision when popping it on so it's great for on the go. The colour however, I'm unsure if I like on me or not. I don't know if it's the colour or I'm just not used to colours yet - I'm going to keep trying! It's a very pretty shade though!! I'm soooo excited about this product!! From the packaging to the product itself (I'll also mention I am a sucker for pretty packaging so I do wish that all of these samples did come in their own boxes too, but I totally understand why they don't) I am in LOVE with it. My skin is terrible. I have combined skin, but the most oily T-zone ever and I've suffered with acne since I was around 10 or 11 and at the moment being not up to full health, I've been breaking out with incredibly painful, horrible bright red spots!! Ahh!! It's so infuriating and did I mention painful? So applying make up and continuing to prod your make up brush to apply generous amounts of concealer in desperation to look not so scary is not my idea of FUN. It makes me paranoid all day long and teamed with my very greasy skin, my make up slides off throughout the day to reveal that i've grown another head out of my chin. But this stuff is a weapon. I apply it to my T-zone and on top of my angry shiny spots, after my skin is prepped, so that I am ready to begin my foundation base. It instantly matifies the situation, seals over my pores (which I have very deep pores) and it gives me an even, more flawless and smooth appearance. 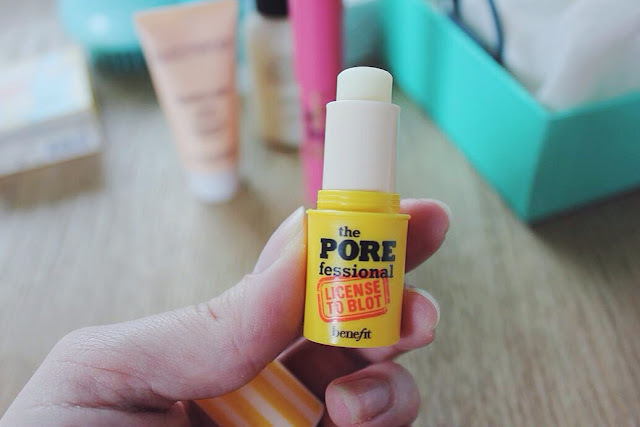 And it makes it so much easier to apply and conceal my acne! It's like a little lipstick I suppose is how you describe it? And it's sort of waxy in texture. And actually I'm unsure if this is the full sized product or a sample (I'm presuming full sized!) but there is ample amount of product to last you a good while - I highly recommend this product to everybody suffering with oily skin and/or spots! And now, for the grand finale (because I've just realised how long I've been sat here babbling and I've almost written a book - I applaud you if you've made it this far in my blog!! And thank you, dearly!!) but THIS is something to shout about. 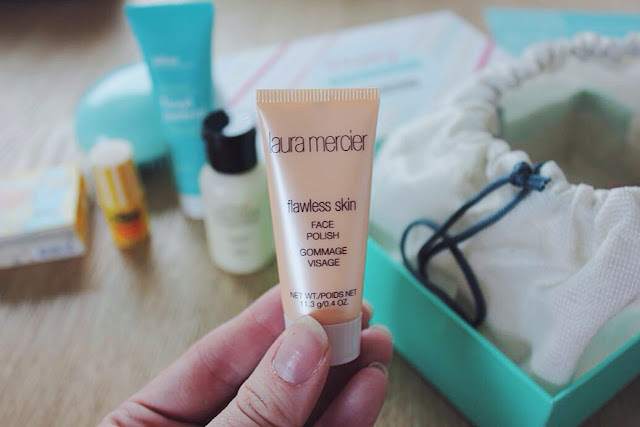 The Laura Mercier Facial Polish. Oh my! It firstly smells beautiful. 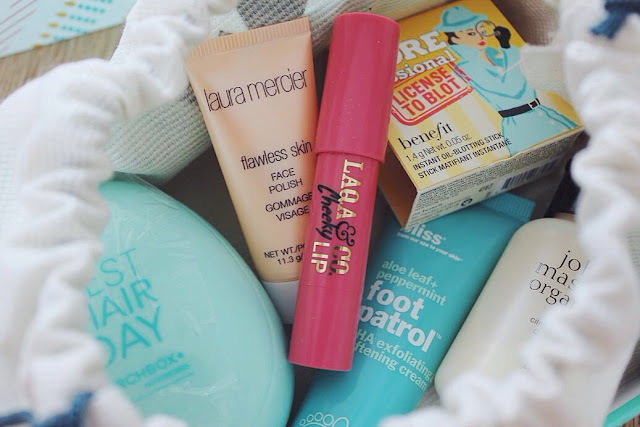 It's like a little spa in a tube. I've tried so many face scrubs but none of them have quite done the trick. But this, I can't describe it well enough - you simply need to try it. But to try to convey my message, I get incredibly frustrated with the micro beads in scrubs. You apply a little on your hand, begin to exfoliate.. Annnddd the little poxy beads go between your fingers and don't seem to touch your face.. Until the end when you go to wash it off and you've got 10 beads magically stuck onto your face? LORD ABOVE! But this.. You're in for a nice surprise. There are so many little micro beads packed into this polish they can't escape, and they're gentle but you can really feel them buffing off your dead and dry skin. 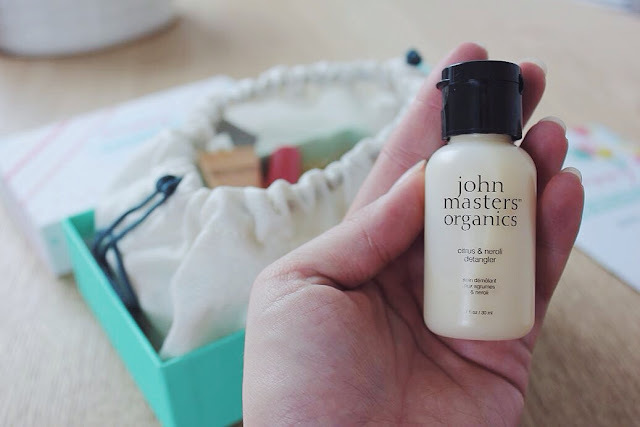 It leaves me feeling totally rejuvenated and with baby bottom soft skin! And I'm also pleased to say you don't need a lot of product, this sample is relatively small and I was scared I'd only be able to test it maybe twice. But I think I've used it 5 times so far, and it's still no where near empty - so I can't begin to imagine how long the real thing will last - totally worth the money!! So, that's me! Gosh, I hope I haven't babbled too much. 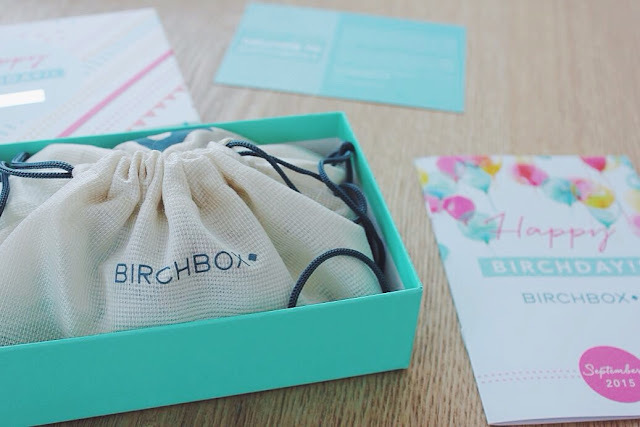 But I was really excited to tell you all about the Birch Box, and I cannot wait to get my next one! I hope you've enjoyed my post and this can be of help to anyone still on the fence about signing up - try it! You don't need to love everything, but if even just one product each month was something you liked - I think it pays for itself, it's much cheaper than splurging on a full product each month that you hate and waste! 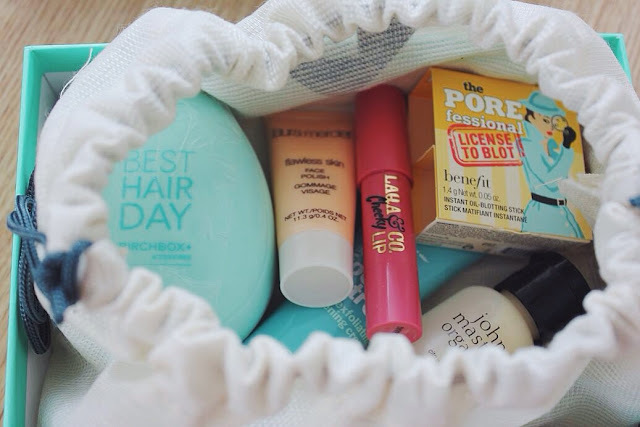 If you're thinking about signing up, here's my invite - click HERE and you'll earn £5 worth of points to spend in the Birchbox Shop!